Since 2013, Russian media has been disseminating anti-Ukrainian propaganda which would enable and explain Russian intervention in Donbas. If the region is ever reintegrated into Ukraine, the Ukrainian government and people will need a lot of work and effort to reverse the negative image of the country in the minds of Donbas people. When I was four, I lived in Luhansk, a lovely city which is now under the control of Russian-backed separatists. As a four-year-old, I used to wake up at 8 am every Sunday to watch Disney’s DuckTales on Channel One. I was always wondering why would they put on a kid’s show so early, until a few days ago I suddenly realised that it was Russia’s Channel One that I watched in Luhansk. The programme was set for the Russian time, one hour ahead of the Ukrainian time. 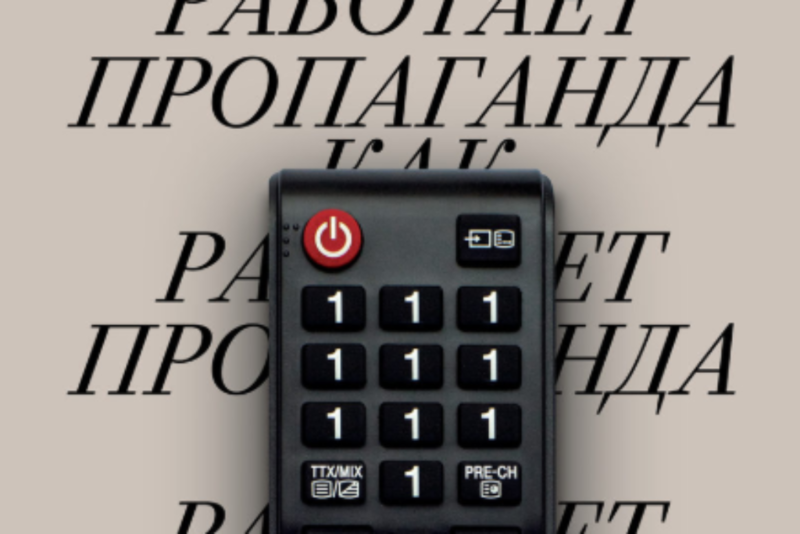 Russian kids had to wake up at 9 am; I had to get up at 8 and my grandfather – who knew how to connect a TV cable with some box outside our flat in order to get Russian TV signal (illegally and therefore for free) – had to wake up even earlier. I never gave it a thought because it seemed so natural: back then, television equaled Russian television to me. 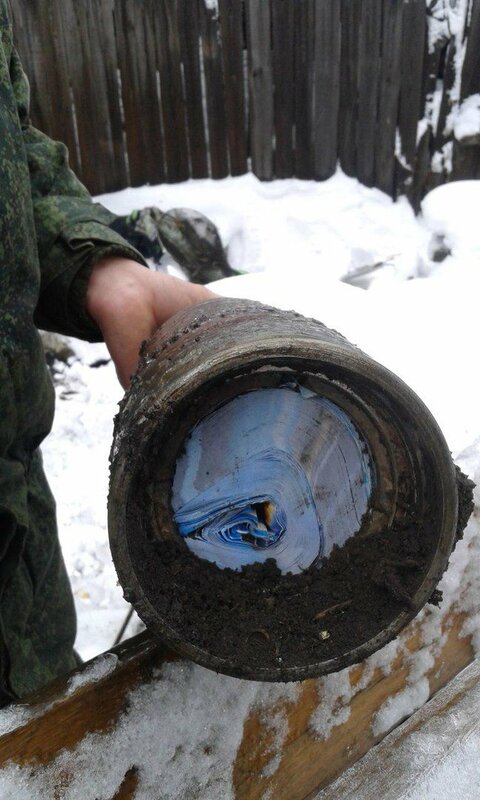 It was so easy to connect to it for free in Luhansk that even the worst satellite antenna would give one access to Russian TV, simply because the Russian border is only 50 km away. So much closer than the remote Kyiv 800 km further. When I turned seven, I moved to Kyiv and did not watch a single second of Russian television for the next 15 years. This changed only when I became interested in anti-Ukrainian propaganda. In Kyiv you would need to pay extra for a broadband package with foreign TV channels, so the absence of Russian television was a norm, in the same way as its presence was a norm in Luhansk. There was no option to watch Russian television for free in Kyiv and my grandfather, who would have been able to hack the system for sure, stayed in Luhansk until the beginning of the war. Now, when I hear Ukrainians fretting about their relatives believing in the incredible stories shown on Russian TV – which portrays Ukrainians as Nazis – I understand where this belief comes from. Russian television was not necessarily a deliberate choice for those living next to the Russian border, yet, it could have been a deliberate policy to make Russian television so easily accessible in the area. 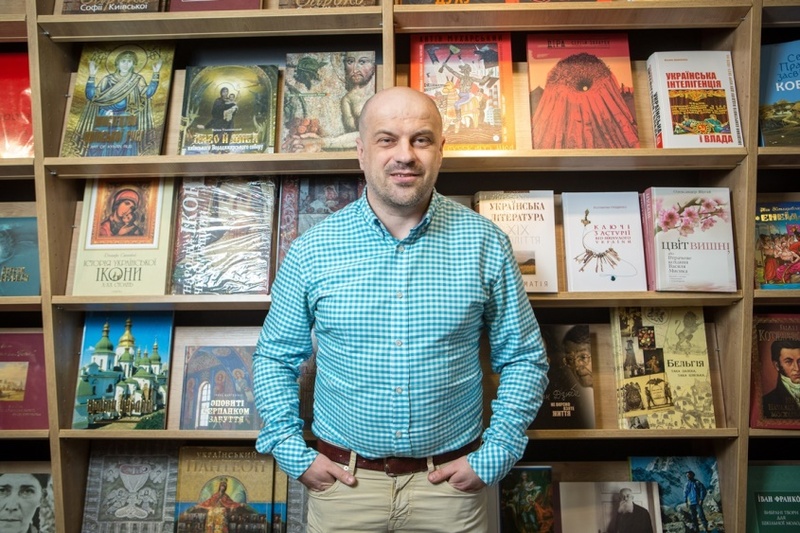 “If you wish to see someone who is a victim of Russian propaganda – I am a living example”, says Maksym Butchenko, a Ukrainian journalist and writer from Rovenki in the Luhansk oblast. “All my relatives, even my parents used to tell me that I am a fascist. They refused to talk to me for half of a year. Despite the fact that I grew up with them, they knew I never hurt a fly in my life, I never belonged to nationalistic circles”, Maksym tells. Maksym grew up in the Luhansk oblast and worked as a miner for over ten years before he moved to Kyiv in 2012 to become a journalist. “When the events of the beginning of the year 2014 started, I became a live witness of how people are actually changing”, Butchenko recalls. “My father always sings Ukrainian songs when he is drinking (and that is quite often, you know). My close relative is an author of a book about Ukrainian Cossacks. So they were actually feeling themselves Ukrainian despite speaking Russian”, he explains. 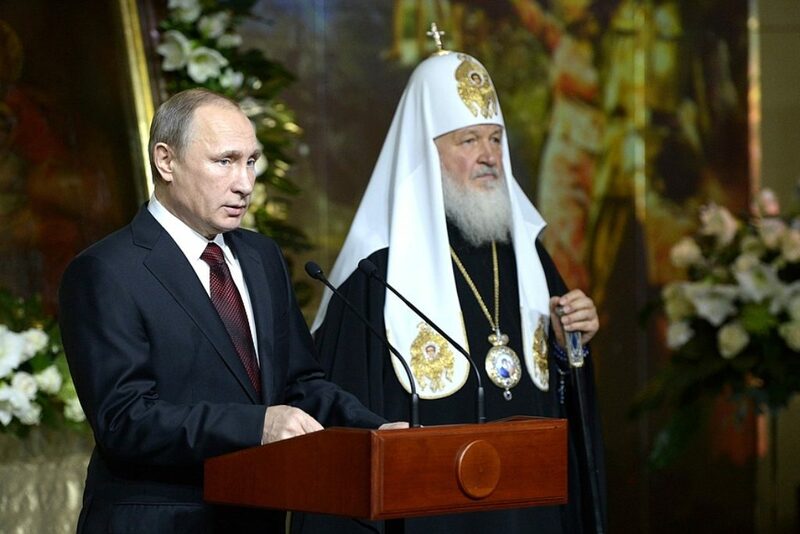 “And miraculously they were saying later that they were against the EuroMaidan and the ‘junta’. They were not against Ukrainian culture or nation, what actually happened was that they were watching too much Russian television and at a certain point, it changed them completely”. 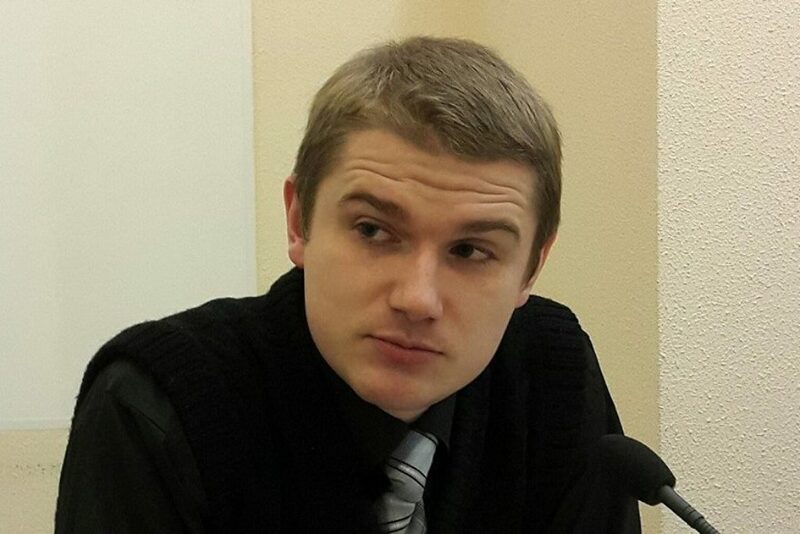 Maksym’s relatives believed that Ukrainian soldiers locked people in a church and burned them alive. They also said that the television warned them that the Right Sector would come to their small town on the Russian border and kill all the people. “So when the promised day came, people gathered to meet and stop those Right Sector troops outside the town, but met no one. The stories Russian propaganda tells are completely phantasmagorical”, Maksym explains. Yet, many people believe the stories because the propagandist messages are constantly repeated: Ukraine is a failed state, the Ukrainian government is composed of fascists, it does not care about Donbas or Crimea, Ukrainians just want these territories back, but will “cleanse” them from the people first. Back on November 2nd 2014 Channel One claimed that each Ukrainian soldier was promised two slaves from Donbas in case the region gets reintegrated into Ukraine. This piece quite cleverly alluded to the Nazi concept of “slave nations” and became a very popular internet meme and a source of jokes in Ukraine. Yet, Russians took their propaganda way more seriously. Since 2013, anti-Ukrainian propaganda has been constructing the narrative which would enable and explain Russian intervention. Many see political and military intervention as legitimate, as long as it targets Russia’s long-standing enemy: fascism. A content-analysis I conducted from January 1st to December 14th 2014, revealed that the word “fascists” appeared 192 times in the news and analytical programmes on Russia’s Channel One, and in 43 per cent of cases, the word referred to contemporary Ukrainians rather than the actual Nazis. 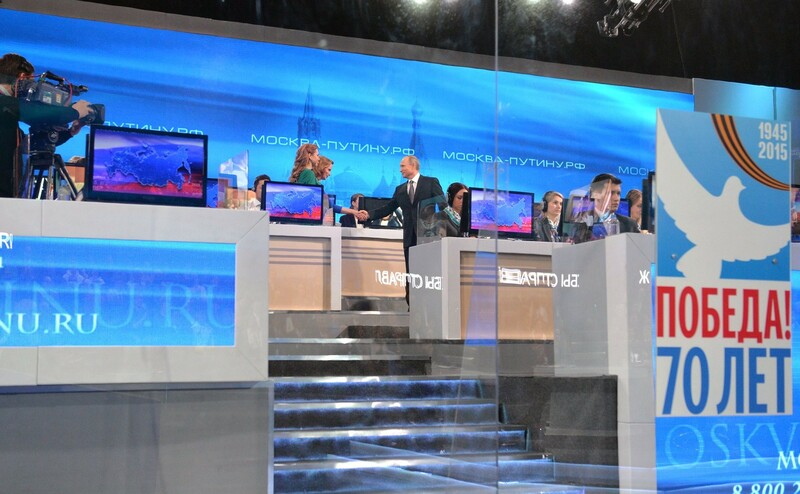 Speaking about the Ukrainian government, Channel One used negative words in 48 per cent of the cases: journalists frequently used the expressions “Kyivan authorities” and “Kyivan government” – suggesting its lack of legitimacy and support outside of the capital, “so-called Ukrainian authorities”, “so-called Kyivan authorities”, “Kyiv regime”, “Kyiv madmen”, “puppet government”, “ridiculous government” and, above all, “junta”. Similar messages were consistently disseminated through major Russian television channels such as NTV, RT (Russian television), Rossiya 1, LifeNews, radio Mayak, internet sources such as Zvezda TV and Komsomolskaya Pravda, news agencies: Itar Tass and Ria Novosti, and the Ukrainian newspaper Vesti. Even global social media sites like YouTube, Facebook, vk.com and Wikipedia became a battlefield in the information warfare. “From December 2014 the Russian military has adopted a new doctrine that explicitly states that information superiority is essential to achieving victory on the physical battleground in the modern war”, informs the recent research by NATO strategic communications center of excellence. Similarly, Kenneth Geers, a cybersecurity expert, the Atlantic Council’s senior research fellow and an affiliate of the Digital Society Institute-Berlin said during a conference at the University of Cambridge that he believed Putin considers cyber weapons to be the most important after nuclear weapons. 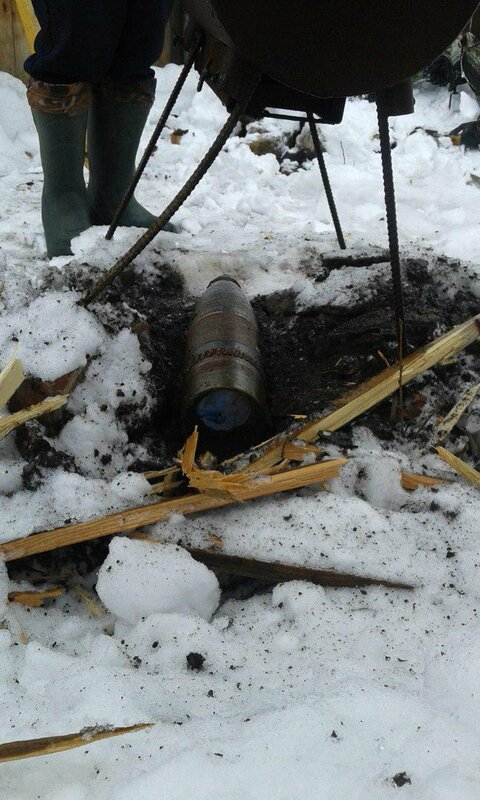 Moreover, Russians and their proxies turned Ukrainian infrastructure into a weapon. “In 2014 when [Russians] occupied Crimea and went to Donbas, they occupied Ukrainian towers and Ukrainian frequencies and brought Russian propaganda media to Ukrainian frequencies”, explained the First Deputy Minister of Information Policy in Ukraine Emine Dzaparova. According to her, there is a complete absence of Ukrainian media in Crimea and Donbas today and there is an urgent need to bring a Ukrainian voice to the region. The Ukrainian government is trying to limit Russian propaganda by monitoring Russian media and sending reports to national security services tasked with closing down propaganda outlets. In the last three years, 77 out of 82 Russian TV channels in Ukrainian broadband networks were closed and five continue working. At the same time, according to Dzharapova, Russia only ever had up to three Ukrainian TV channels in their broadband networks, so Ukraine is still far from parity in this respect. Meanwhile, Ukrainian grassroots volunteer initiatives StopFake.org and Informnapalm.org are counteracting Russia’s disinformation by monitoring, fact-checking and disproving fake news. These largely crowd-sourced and crowd-funded websites regularly prepare high-quality digests of Russia’s disinformation in Ukrainian, Russian and English. StopFake.org, for example, have already released 187 video digests disproving fake news in the Russian media. Yet, operating on the internet, these fact-checking media initiatives are available only to those who have internet access and who deliberately search for information to verify Russian news. At the same time, even if their work comes to the attention of the apologists of Russian propaganda, they are unlikely to believe it. “Today Russian propaganda works to undermine trust in any source of information – and today in Ukraine every single survey shows that Ukrainian society does not trust the media”, Dzhaparova comments. In the past three years, propaganda has gradually discredited Russian media and is now working to challenge any media narratives. At the same time, disinformation is being spread through informal interpersonal networks both offline and online. Dzhaparova had obtained information about specifically trained people which are sent to public places in Donbas in order to spread rumours to discredit the Ukrainian army and authorities. Bots are performing a similar function online – a research by StopFake has revealed that 60 per cent of Twitter activity in Russia is managed by highly automated accounts. Moreover, Russian bots have targeted political actors in the United States, Poland and Ukraine. In order to counterbalance Russia’s official narrative in the international media landscape, Ukraine has introduced its own international information service UA:TV. It can be accessed online from abroad and from the currently occupied territories. In addition, Ukrainian news agency Ukrinform prepares news in six languages, so that foreign journalists do not need to quote RT while writing about developments in Ukraine. eaking programme “Ukraine calling” is prepared by volunteer journalists for Hromadske radio. influence” and the US has withdrawn RT accreditation to the Congress), Ukrainian media might become the new point of reference for the latest developments in Eastern Europe. Yet, can we expect ordinary people to be knowledgeable enough to understand this news is fake? Every time I hear that people in Luhansk got what they wanted, everything in me turns upside down. A huge disinformation machine worth billions of dollars a year works to deceive trustful people living 800 km away from Kyiv without a chance of seeing things as they are. Russian propaganda chases them offline and online, it speaks to them through the occupied Ukrainian frequencies, through TV sets and old radios built into the walls ever since the Soviet times. Are not people overestimating the agency of the Donbas population when claiming that they sought to live in a god-forgotten self-proclaimed republic with irregular electricity, water and gas supply and constant shootings over their heads? Indeed, must these people, so used to watching the DuckTales on Channel One since 1991, be blamed for watching the new kind of tales Channel One is delivering to them? immediately by releasing news saying the food was stolen from the village’s grocery shop, even though the locals knew there was no grocery shop there for years, StopFake.org informs. 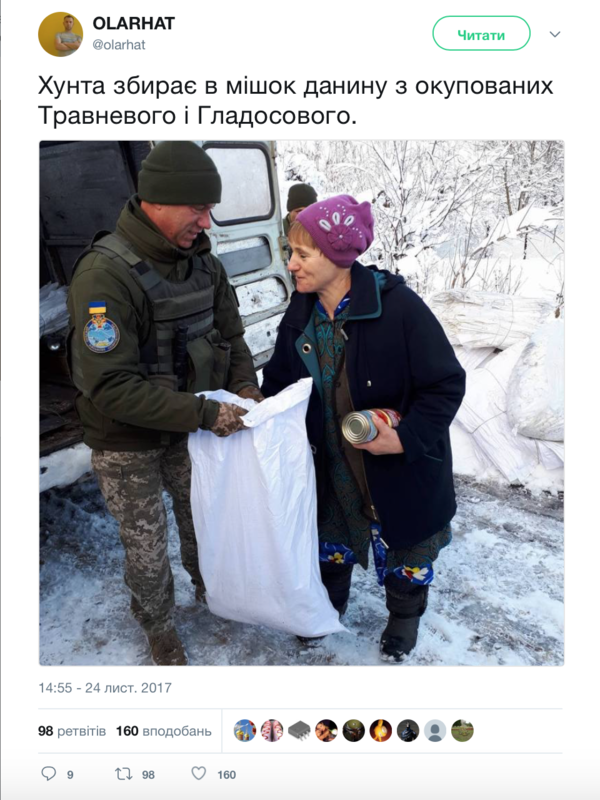 In response, a Twitter user called @olarhat mocked the message by commenting on the real picture taken by one of the villagers: “the Junta collects tribute into a bag from the occupied Travneve and Hladosovo”. Source: Twitter. 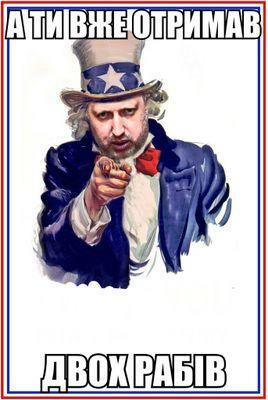 “Junta is collecting tribute in a bag from the occupied Travneve and Hladosove”. The reintegration of Donbas will be challenging, because no one knows how deeply the people living in the uncontrolled territories have changed. Ukrainians will need a lot of patience, kindness, understanding and sense of humour for the reintegration efforts to succeed. Mariia Terentieva is a PhD candidate at the Department of Slavonic Studies at the University of Cambridge, where she explores the intersection of explosion of digital media and development of grassroots pro bono civil society initiatives in post-Maidan Ukraine.